Louise Redknapp’s ex-husband Jamie was recently pictured with British model, Lizzie Bowden, 34. The model, who has worked with brands such as New Look and Wallis, has racked up 1,600 followers on Instagram and bears a remarkable likeness to 45 year old Jamie’s ex-wife, Louise. Louise has now spoken out, after Jamie and Lizzie were seen leaving London celeb haunt Annabel. Louise told The Guardian that she is fine with Jamie moving on and dating, but finds the lookalike aspect “weird”. 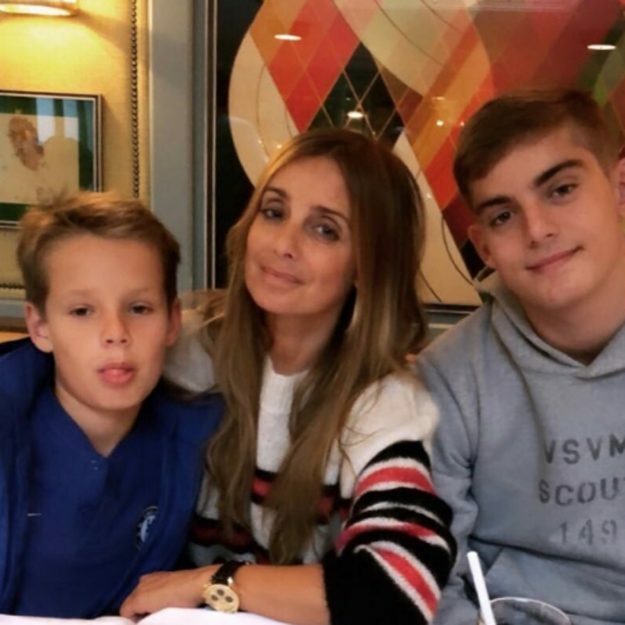 Louise said that her sons Charley, 14, and Beau, 10, have found it hard seeing their dad with other women. The 44 year old also opened up about her own return to the dating scene and how she is finding it difficult. Louise recently spoke openly about her shock split from Jamie, revealing that she no longer blames her ex and that she actually lacked self-esteem and passion – before Strictly Come Dancing reignited her spark in 2016. Discussing her time on the show, Jamie revealed: “Who gets a second chance, you know? I just didn’t think it would ever happen for me.